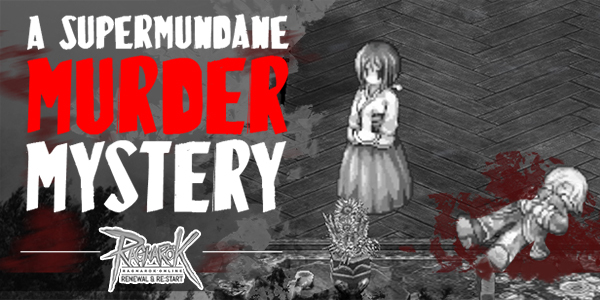 A typical adventurer's delivery errand quickly turns sour as you discover a murder most foul set upon your route! Looks like your delivery will need to take a backseat as you assist the eclectic Detective Moose and Detective Squirrel solve this mystery! Luckily, the kid will send you straight to where you're supposed to go. But before you can get any further, you're stopped by a detective! Your delivery has been interrupted by a murder most foul! These detectives could use a little help looking for clues. Be a good adventurer and stick around to help them out, will you? After you've discovered all the clues in order, the next stage of your adventure awaits you. What for, you ask? You'll have to play it yourself to find out! 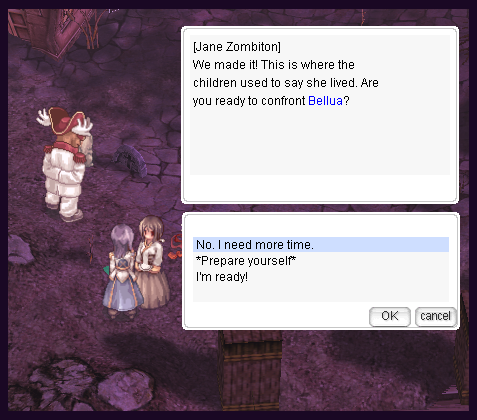 Speak to Jane Zombiton to be escorted out of the house so you can meet them in Niflheim. This is an Instance event! 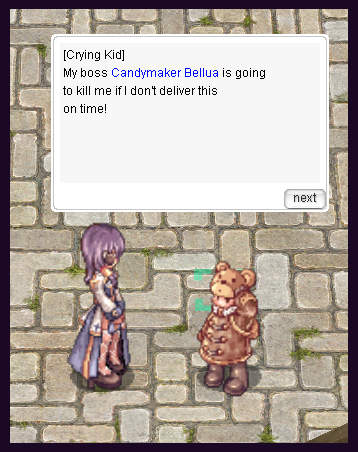 Make sure you have a Party ready before you confront Bellua! 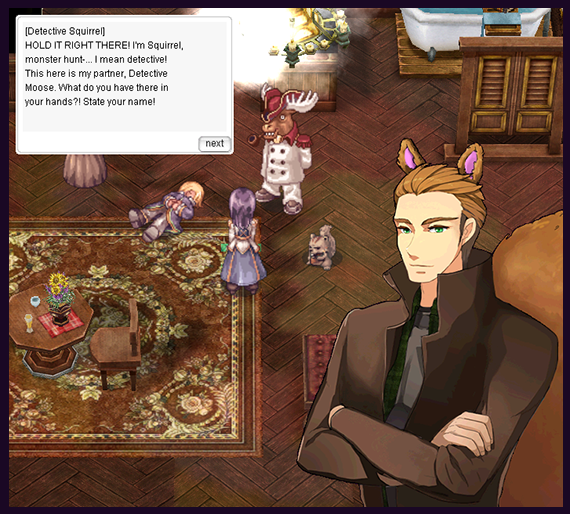 After you meet with Detective Moose, Detective Squirrel, and Jane Zombiton, they will tell you that the mysterious Bellua of old ghost stories awaits you. Create your party, and once you've done so, speak to Jane Zombiton and select *Prepare yourself* from the menu. This books your instance, and when you're ready to enter, speak to her again and select I'm ready! After you've finished, you'll be taken back to your new friends waiting for you in Niflheim. 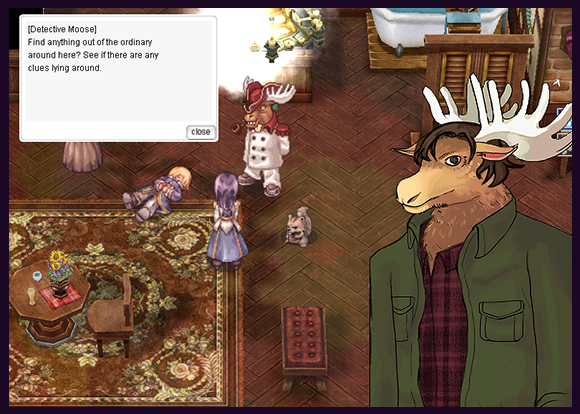 As a token of gratitude, Jane Zombiton will grant you prizes, including an achievement, a costume item, and EXP!